Sipping on a bottle of beer can relax you, but can it also promote mindfulness? A yoga instructor in the D.C. area is pairing pints with poses to pile on some additional health benefits. WASHINGTON — Yoga classes held in breweries, wineries and pubs are all the rage these days, attracting both serious yogis and novices in search of a new social activity to the mat. But come Aug. 1, you no longer have to wait until class is over to imbibe. 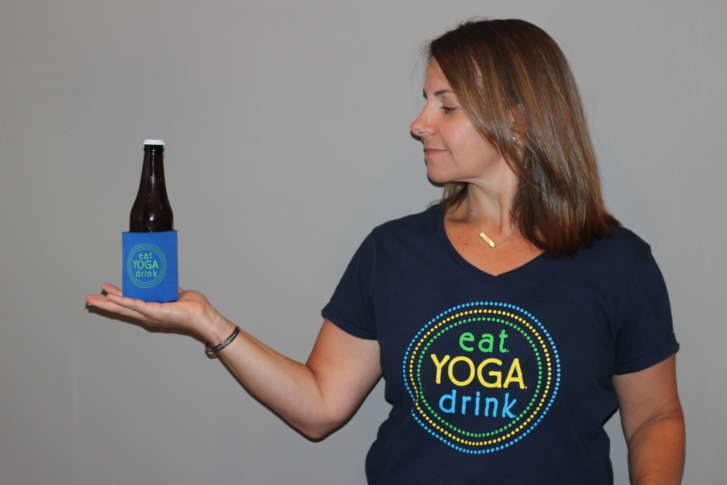 Northern Virginia yoga instructor Erin Sonn is heading up a movement in the D.C. area that combines yoga and drinking — all at the same time. It may sound like a stretch, but Sonn says the approach actually improves your practice. “This is meant to be a complete sensory experience where you cultivate your mindful awareness,” said Sonn, the founder of Eat. Yoga. Drink. In recent years, researchers have found that mindfulness, or the state of being aware of the present moment, comes with a number of health benefits, including reduced levels of stress and anxiety and improved mental health and functioning. Mindfulness is already a fundamental element of yoga, especially in regard to the breath, but adding a drink in hand sharpens the focus even more. “I’m going to cue them to sip the beverage, and maybe before immediately swallowing, just notice the flavors and the textures of the liquid in their mouth,” Sonn said. Of course, balance will also come into play more than usual, since spilling a bottle of craft beer — or one of water, if you choose — creates a slippery situation on the mat. Sonn says the unconventional fitness class, which got its start in Europe, offers an accessible and affordable way to bring a little fun to the practice of mindfulness — “while at the same time realizing that there are true benefits,” she added. Mindfulness Yoga With Drinks will take place Tuesday, Aug. 1 from 7 to 9 p.m. at Crystal City Sports Club. The cost ($22) includes a one-hour yoga class, plus two beers — one to be consumed during class and another after. Tickets are available online.